I took a little break from painitng and started playing with printmaking again. 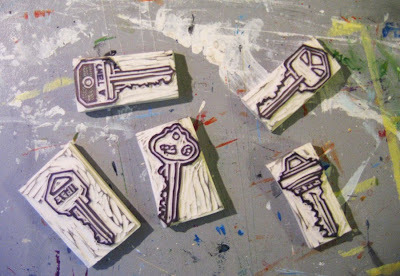 I cut a group of key stamps from rubber to create the prints below. 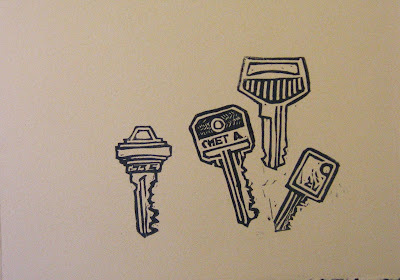 The key stamps are all actual size so some of the prints I have made are pretty small. 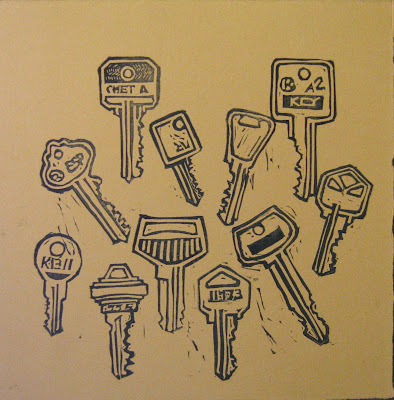 Most of the keys are from old apartments, houses, cars, locks, etc. Many of the keys I have long since forgetten where they go but I just couldn't throw them away. Below are the key stamps that I have cut.